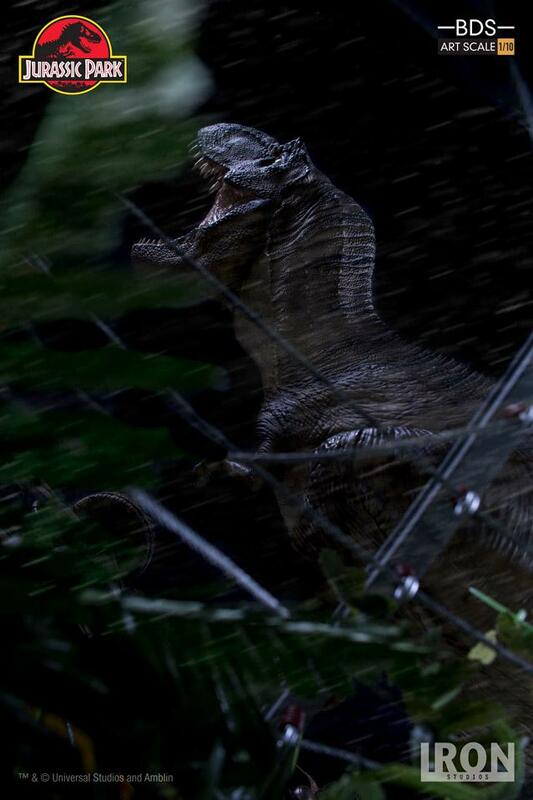 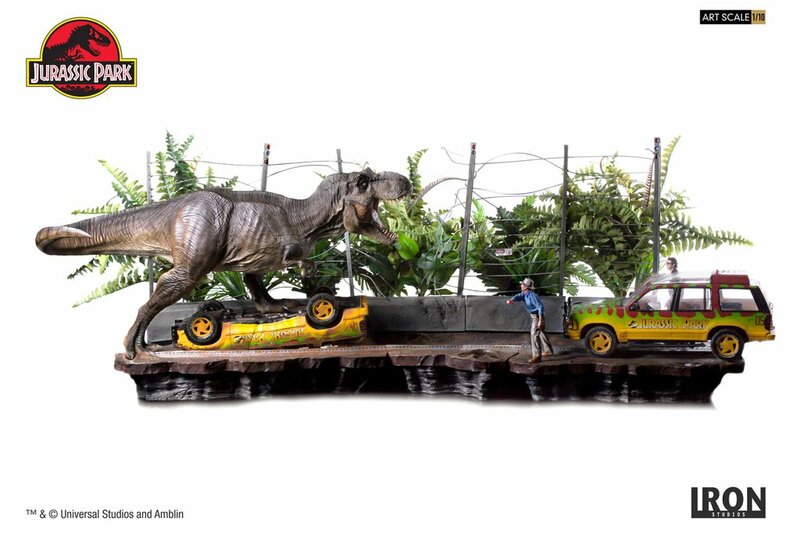 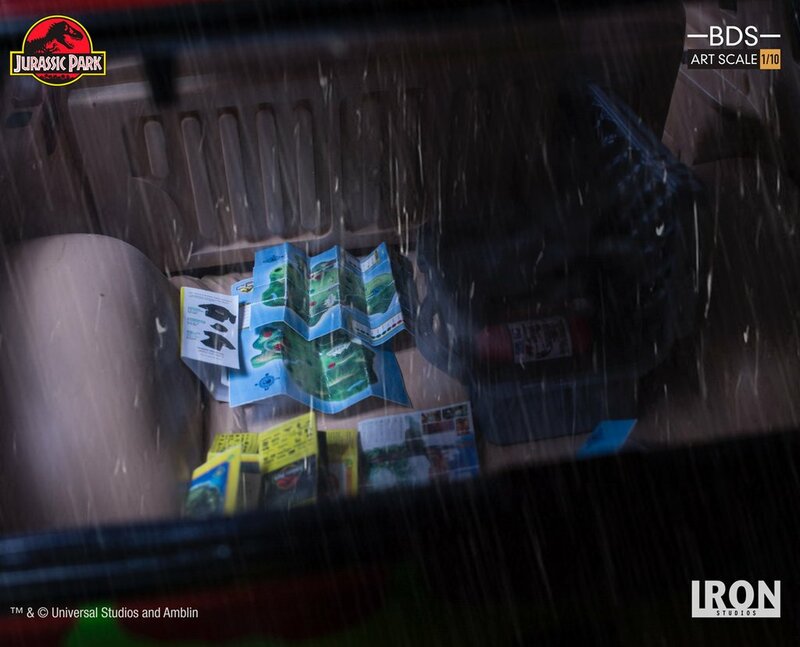 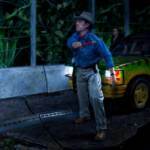 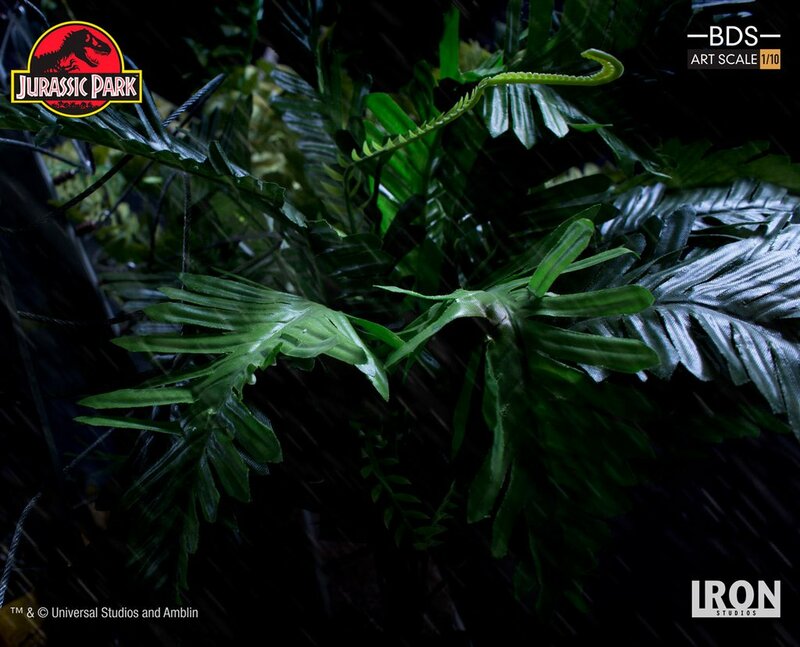 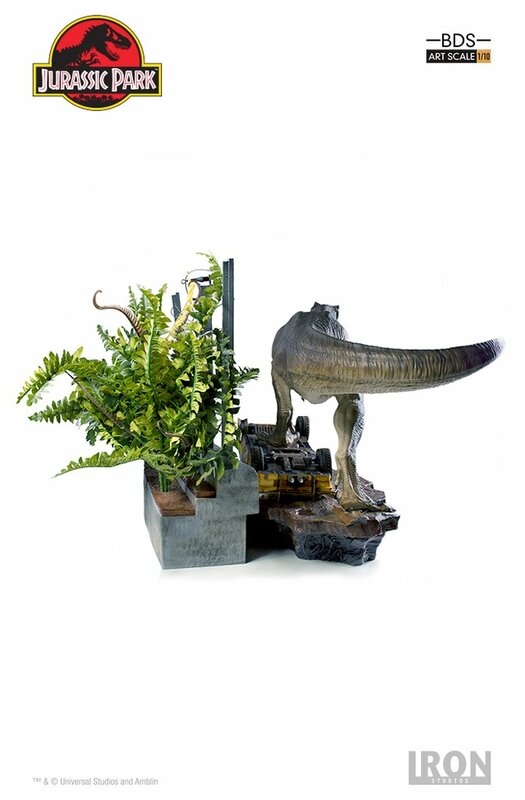 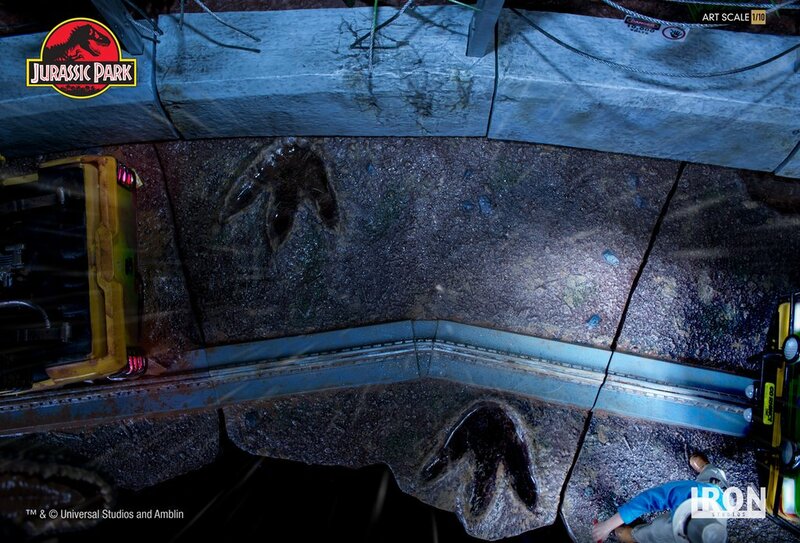 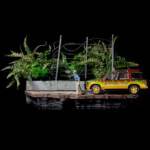 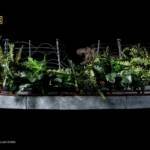 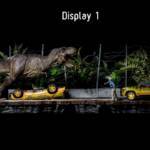 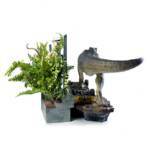 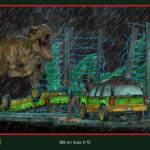 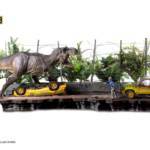 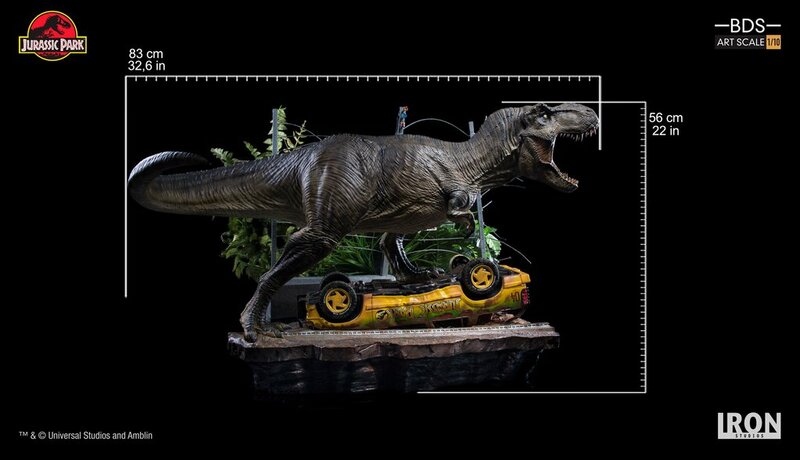 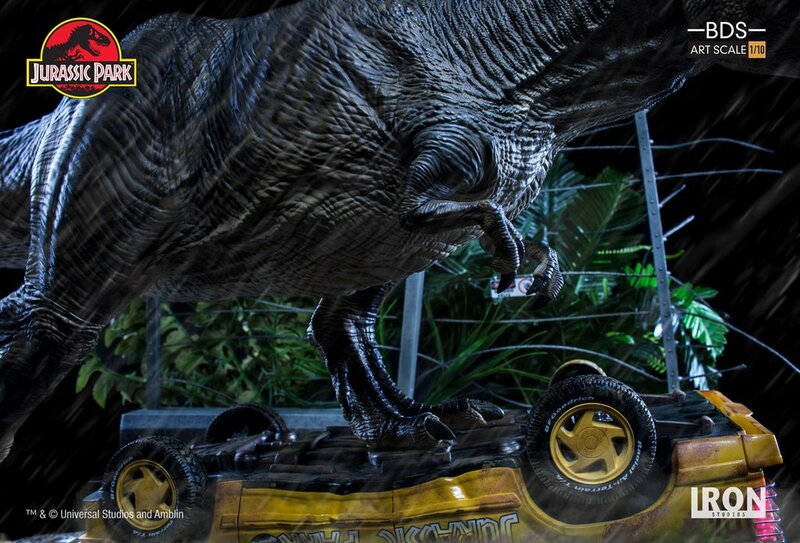 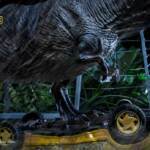 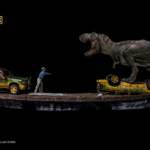 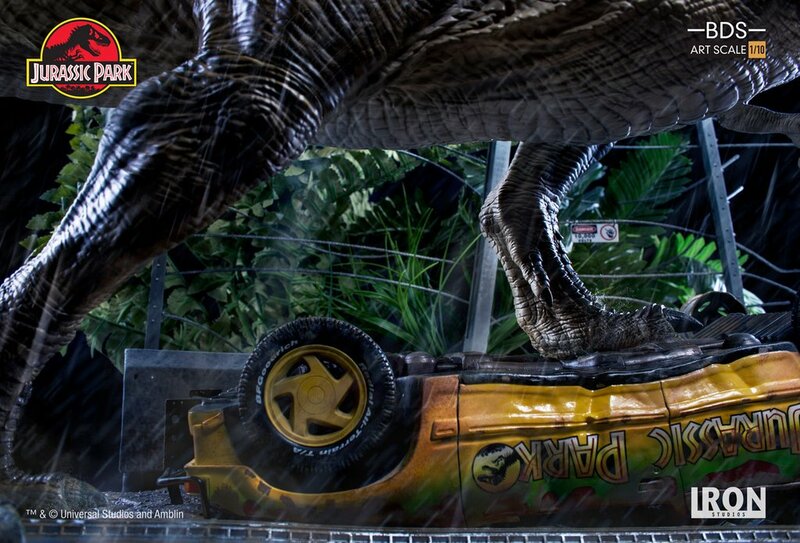 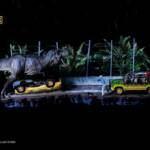 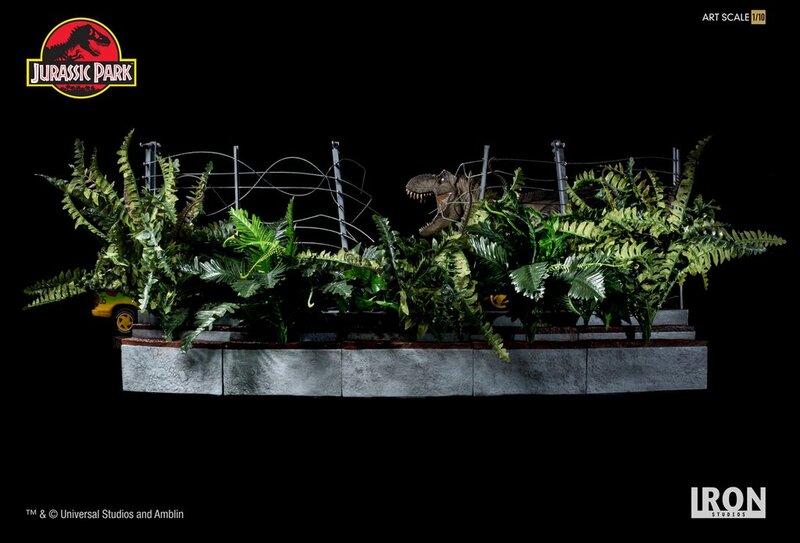 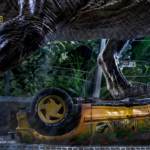 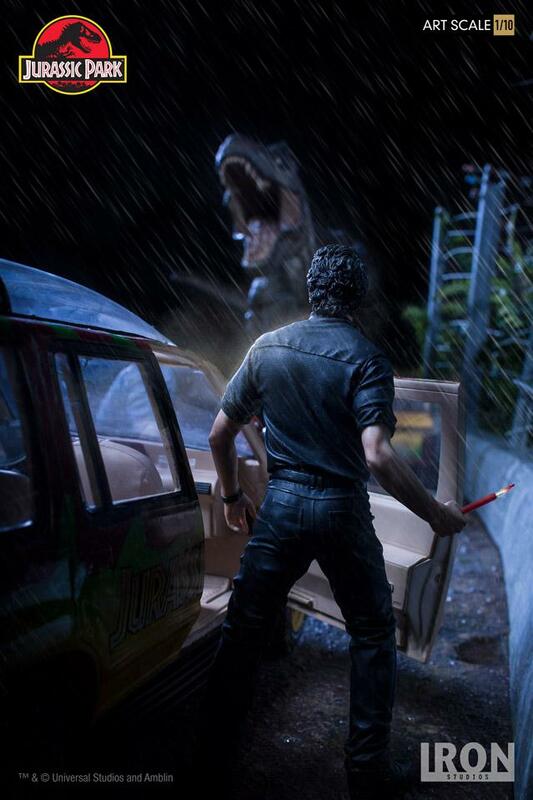 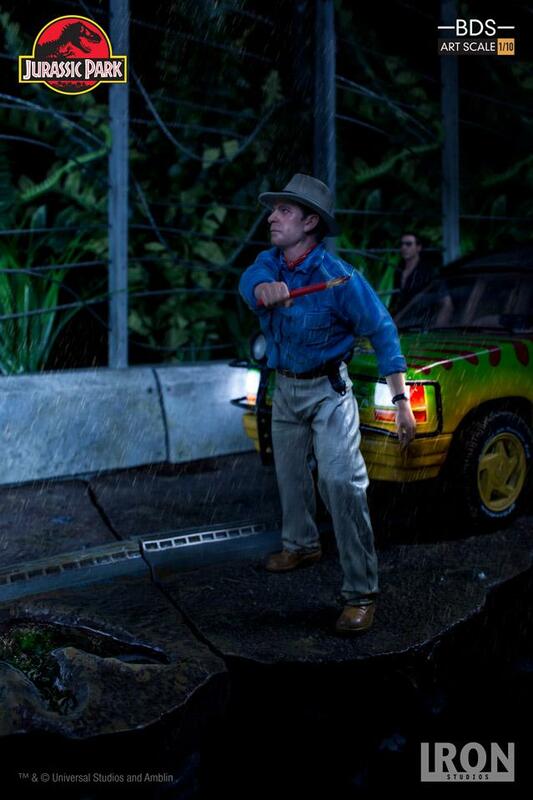 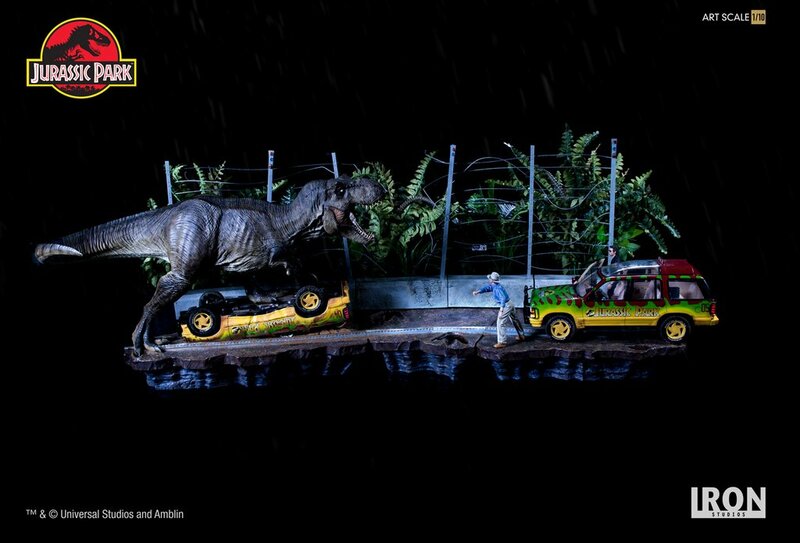 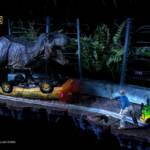 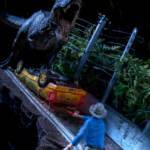 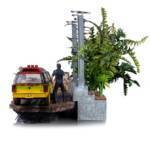 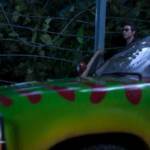 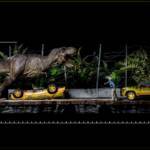 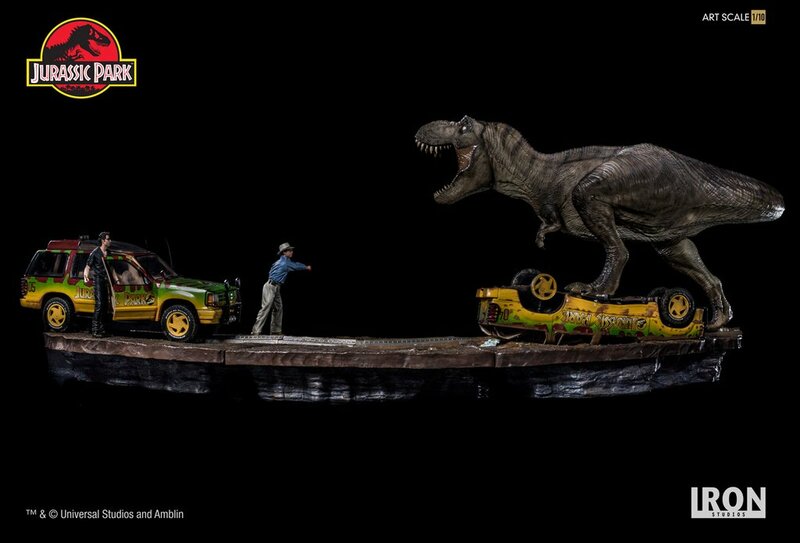 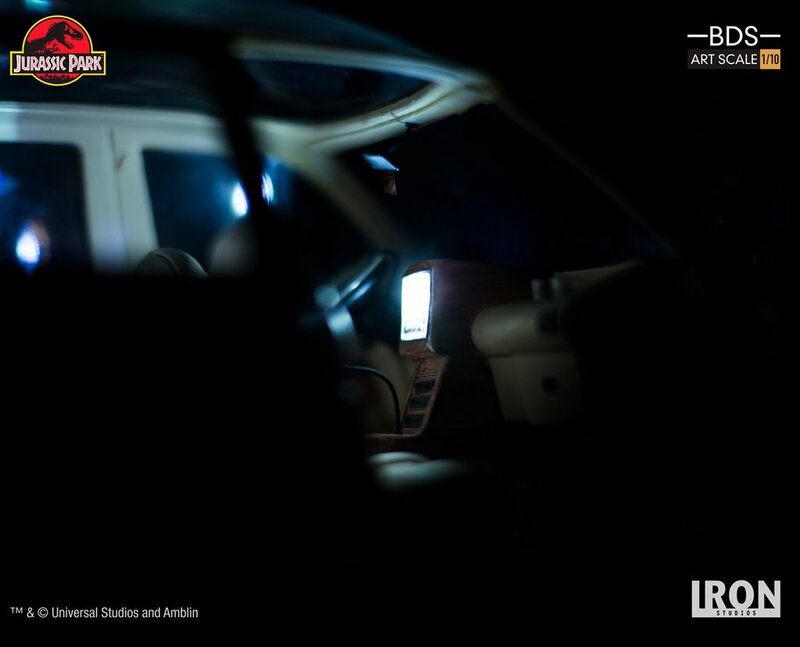 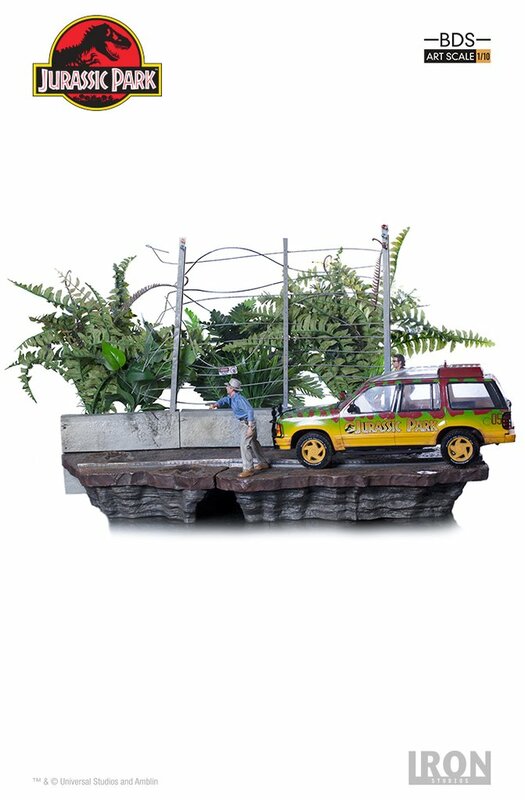 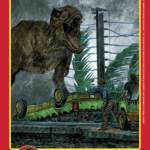 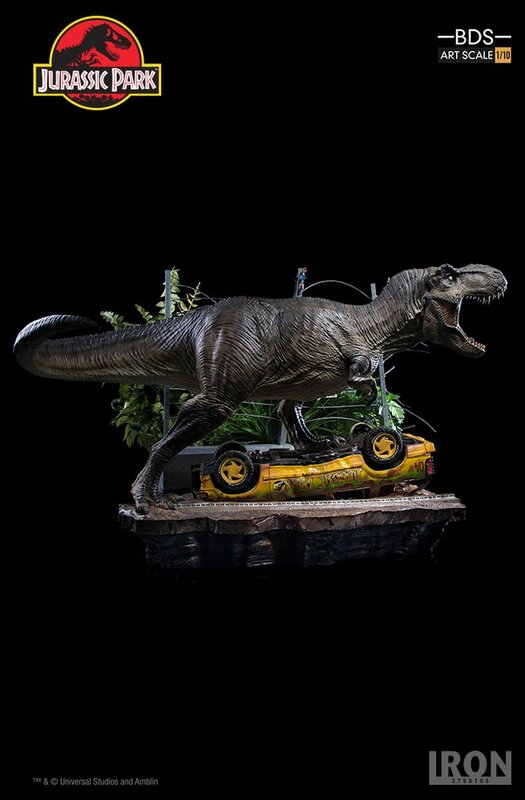 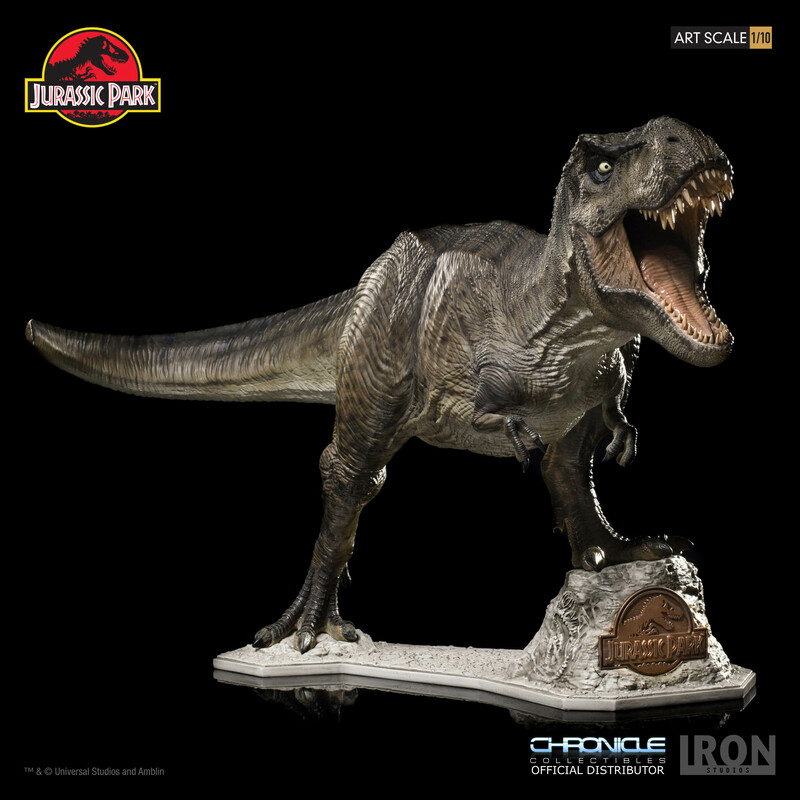 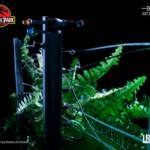 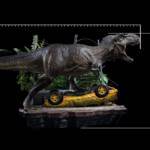 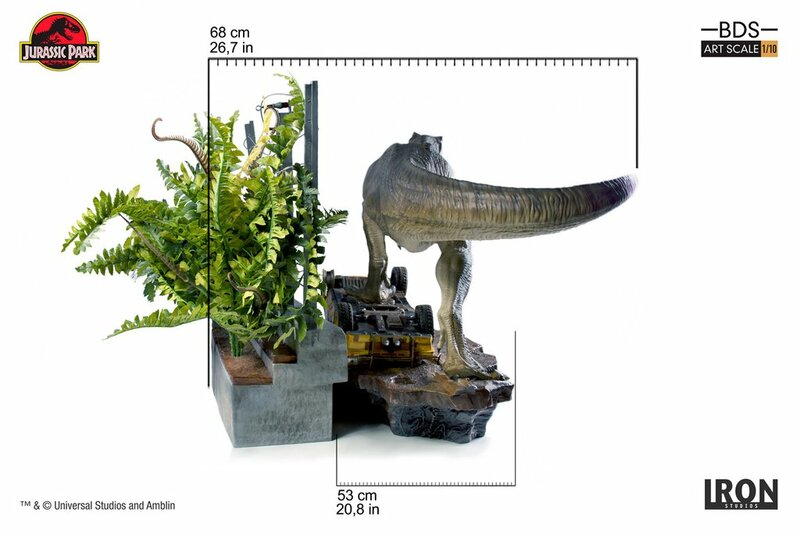 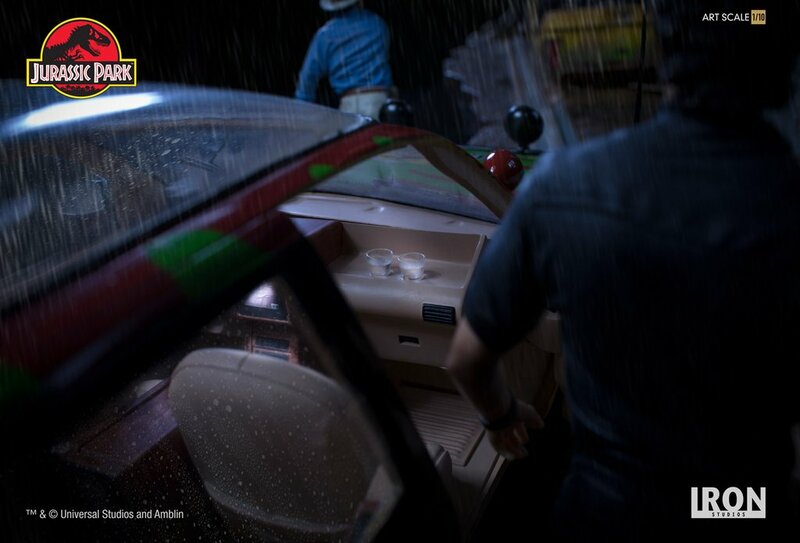 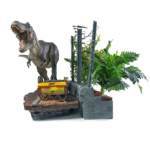 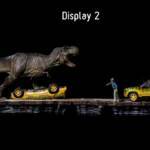 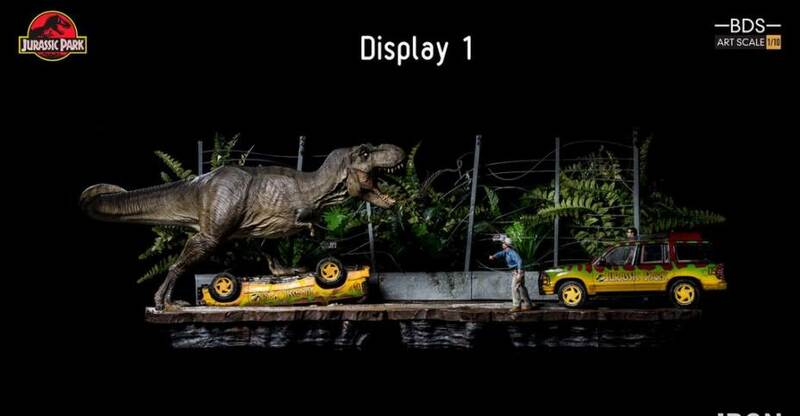 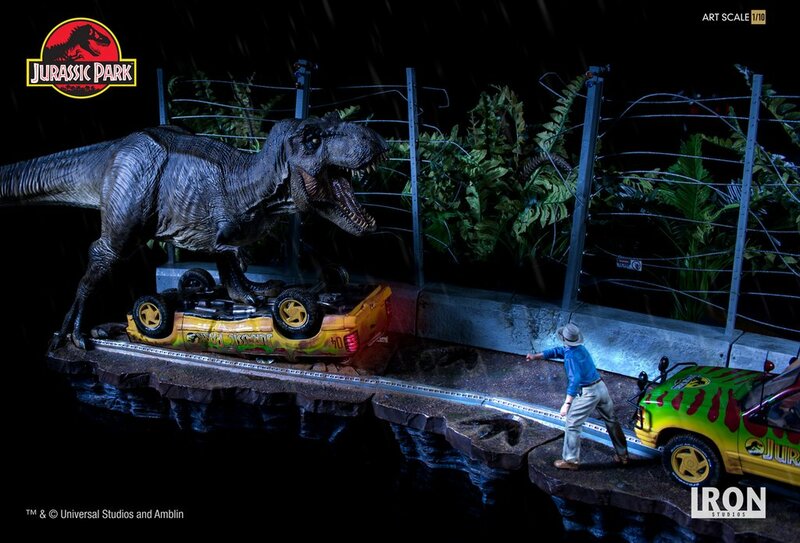 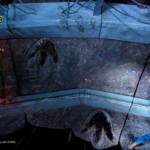 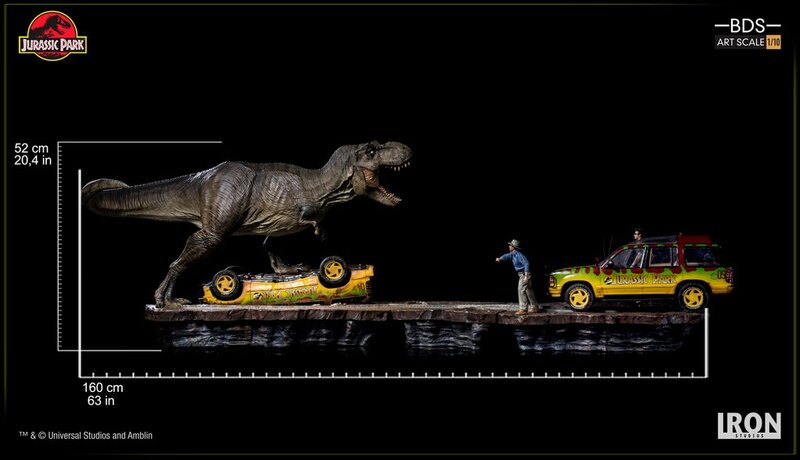 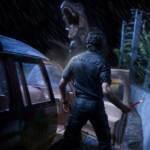 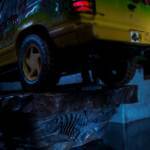 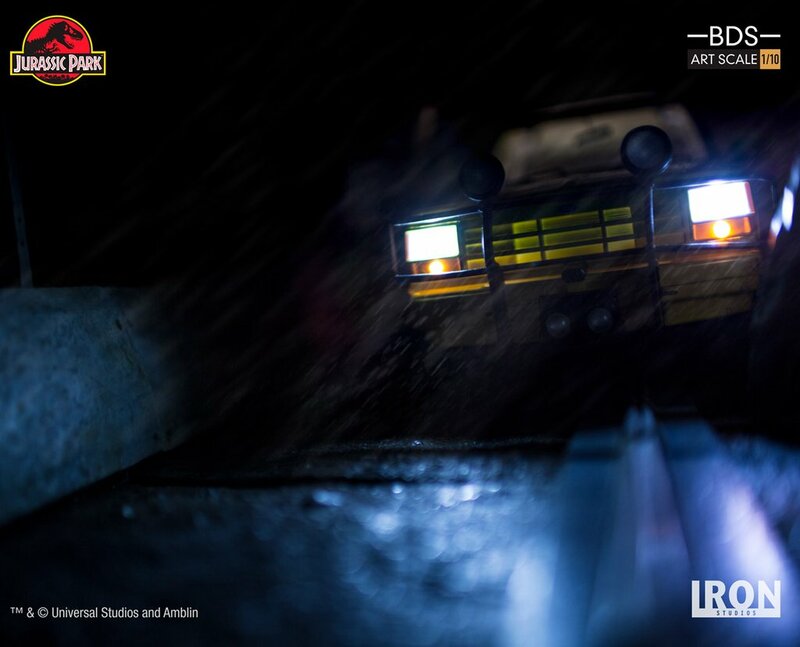 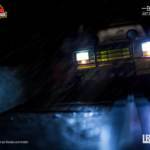 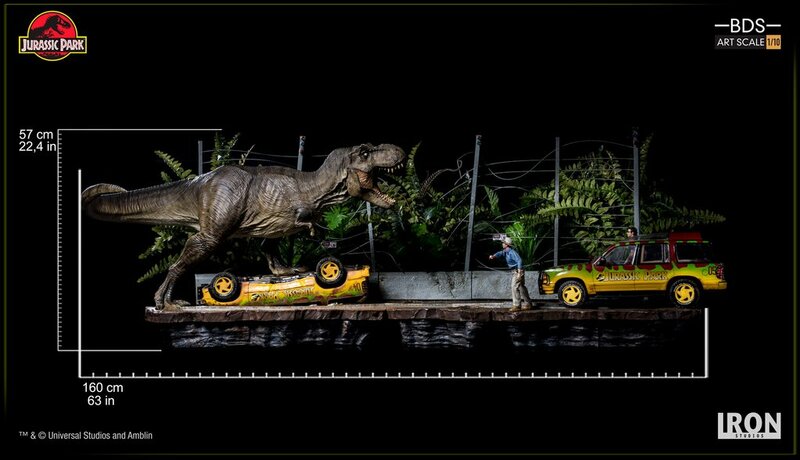 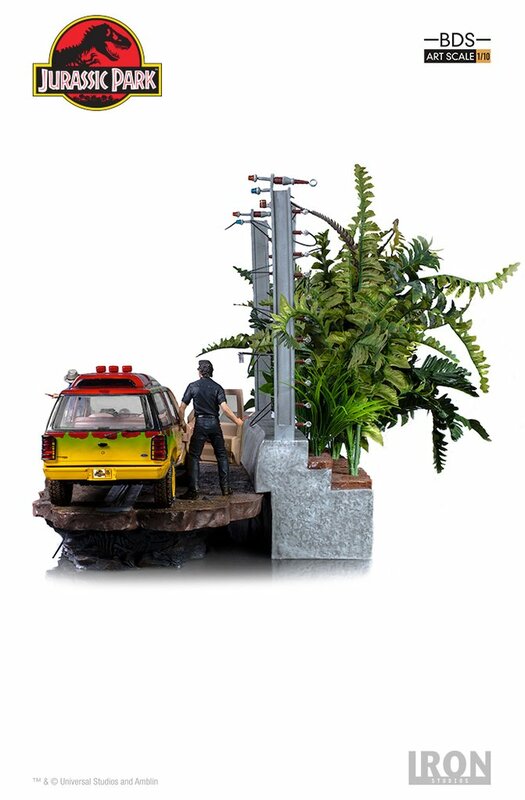 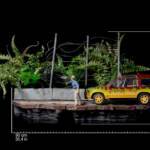 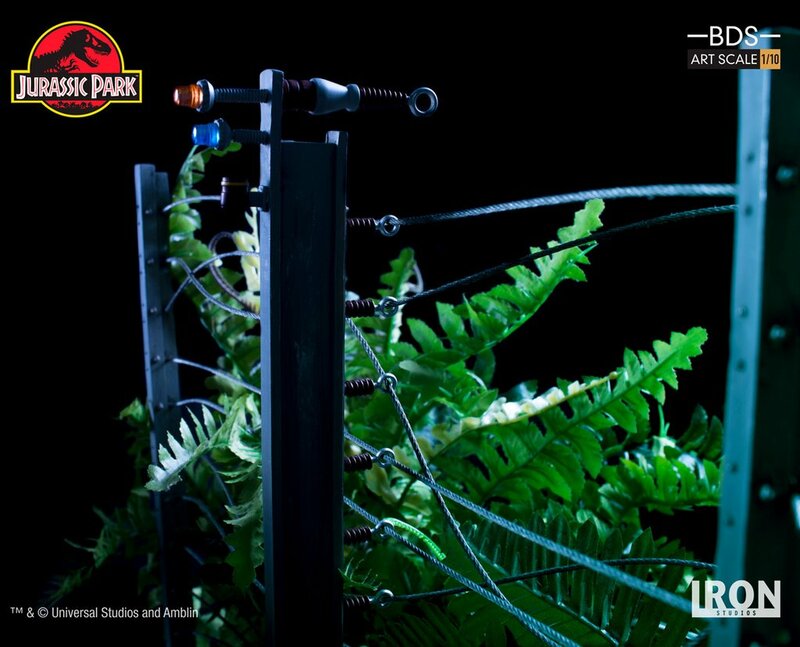 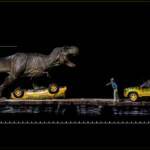 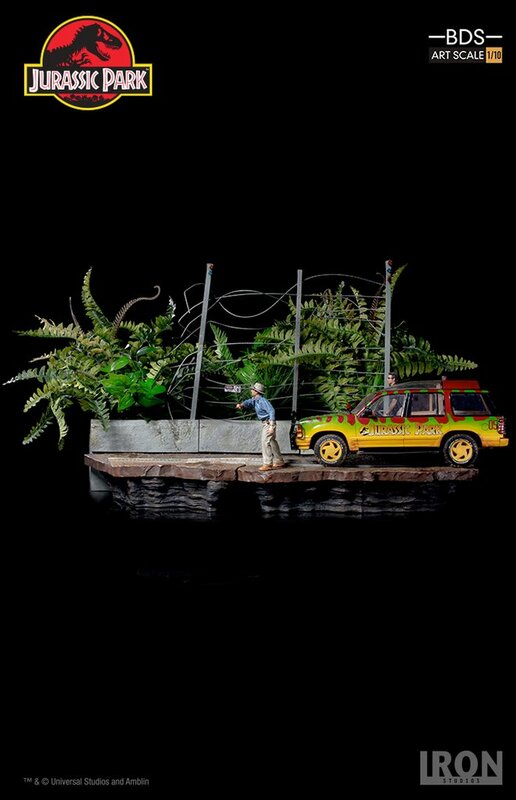 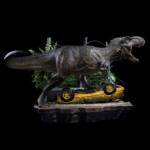 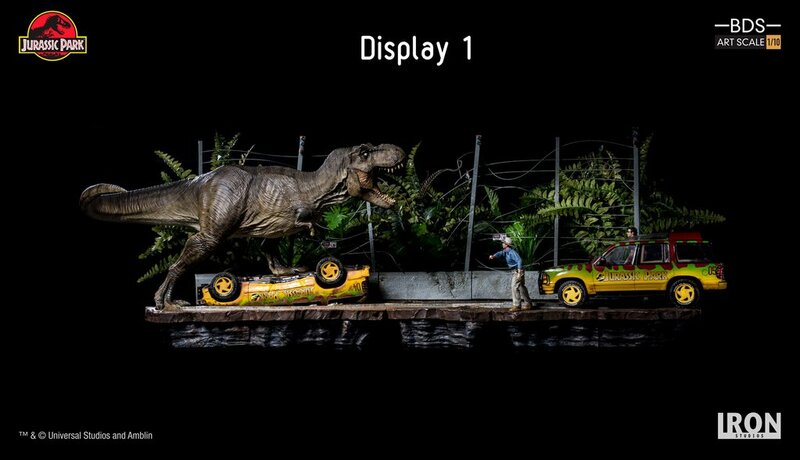 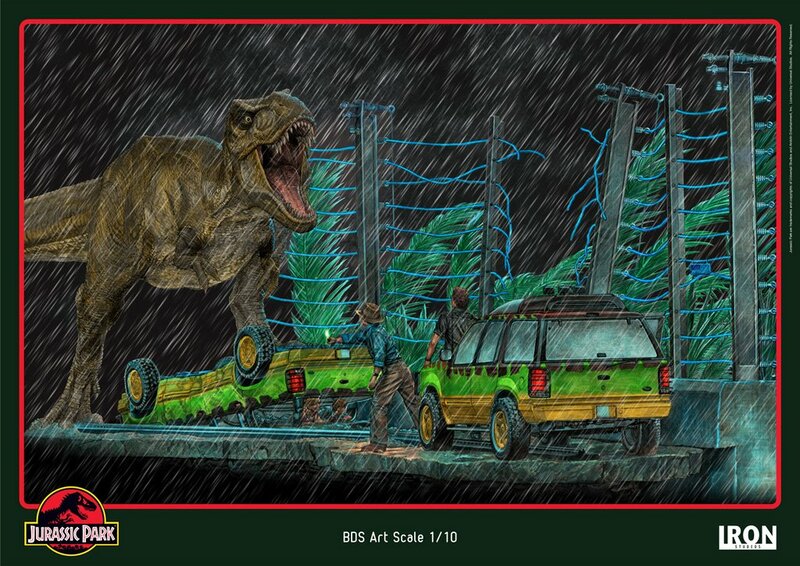 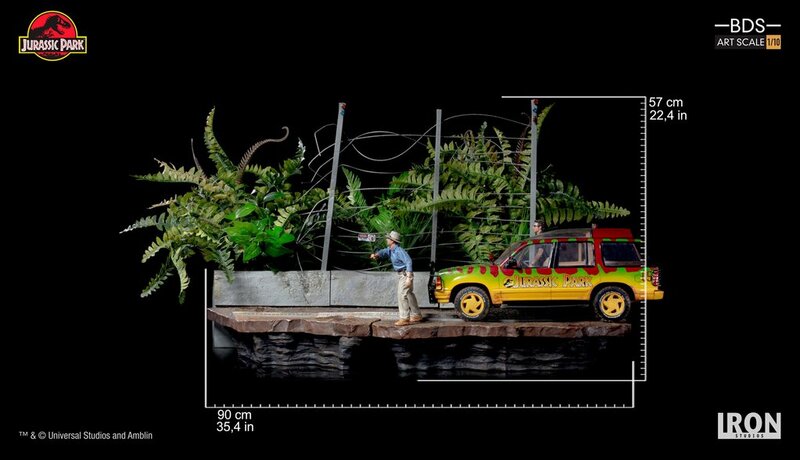 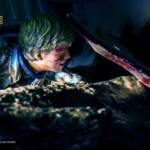 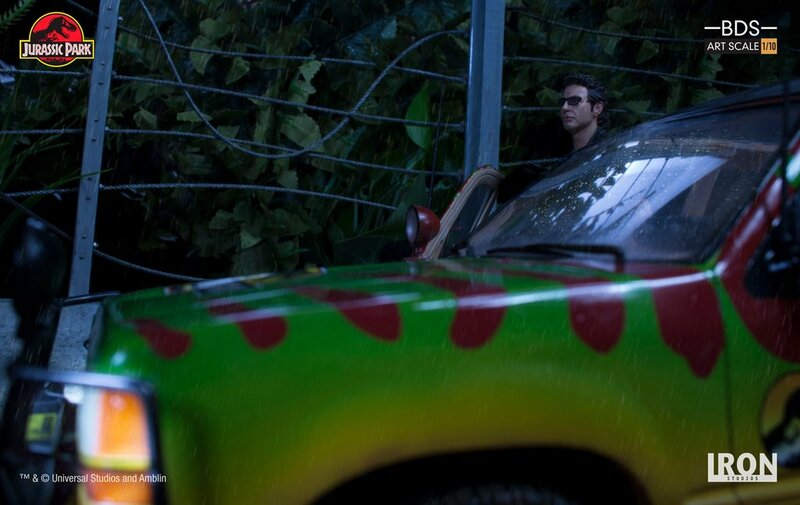 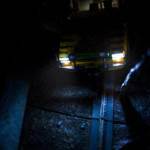 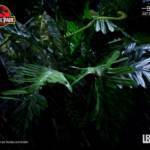 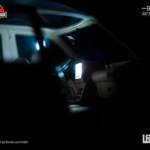 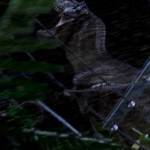 The Iron Studios Jurassic Park Tyrannosaurus Rex Attack Diorama has been full revealed. 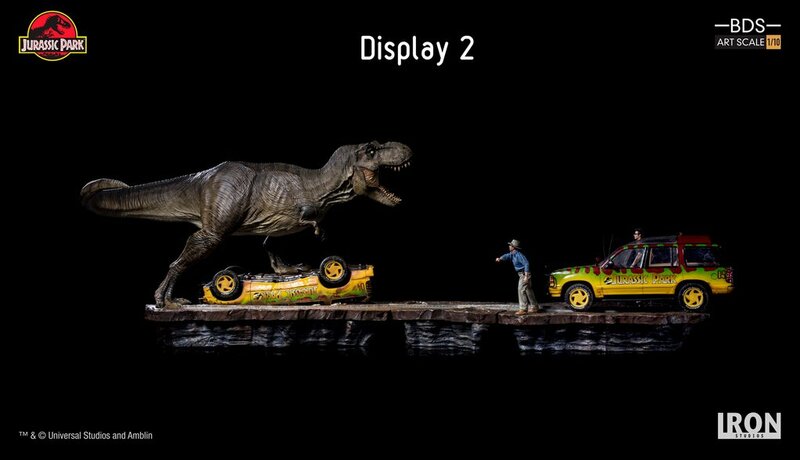 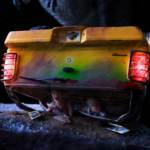 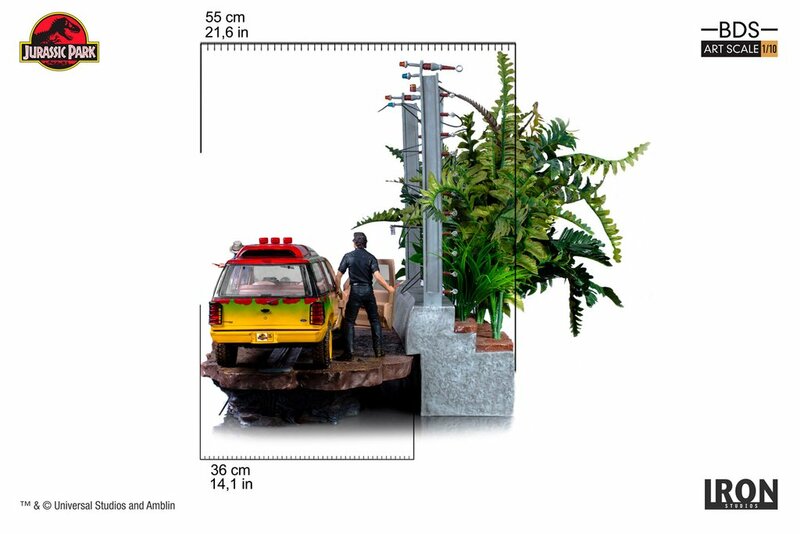 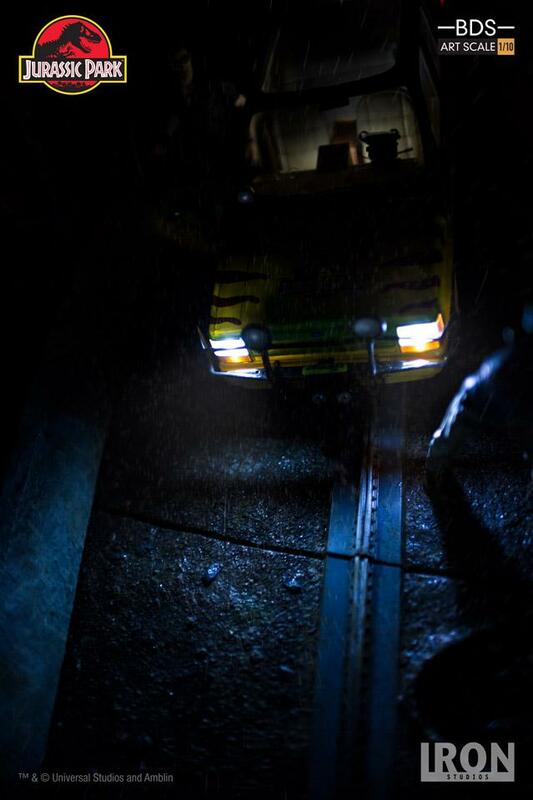 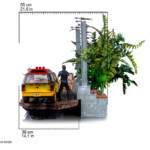 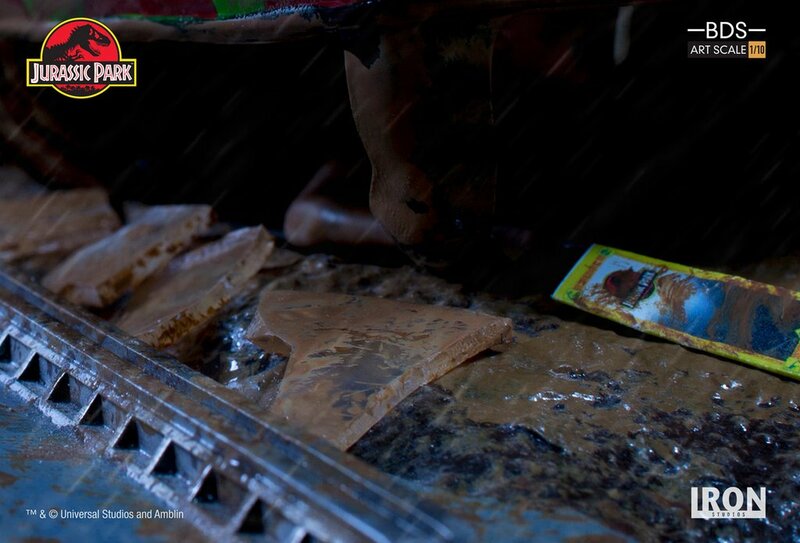 The diorama will be split into two parts, and will be available separately as well as in a set. 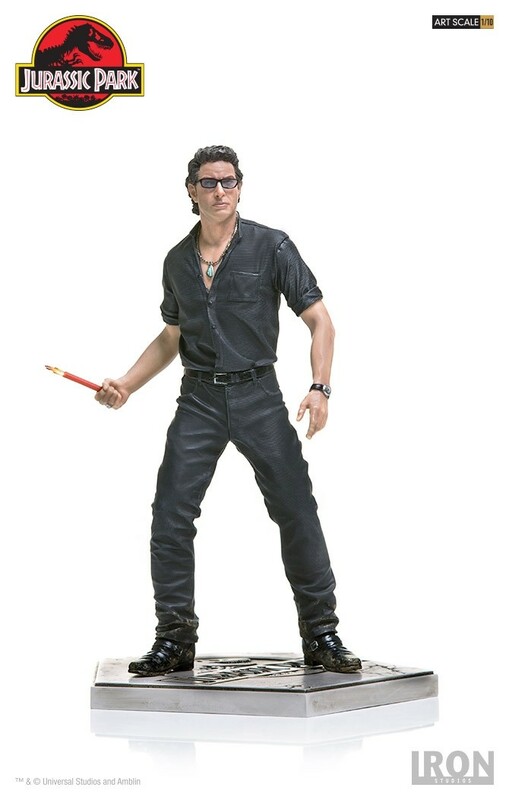 The diorama was teased earlier in the year, when Iron Studios and Chronicle Collectibles announced their Dr. Alan Grant and Dr. Ian Malcolm Statues. 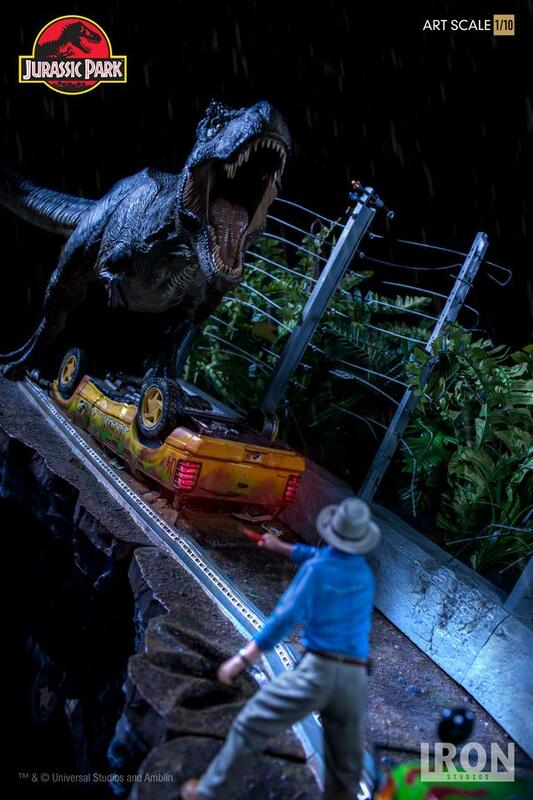 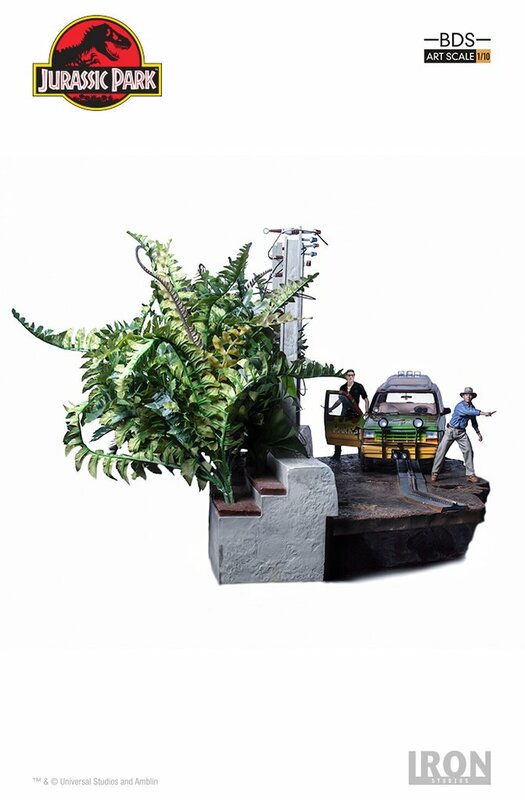 This 1/10 scale diorama features the T-Rex as he breaks out of his enclosure and attacks the Jungle Explorer, while Dr. Grant and Dr. Malcolm attempt to distract him. 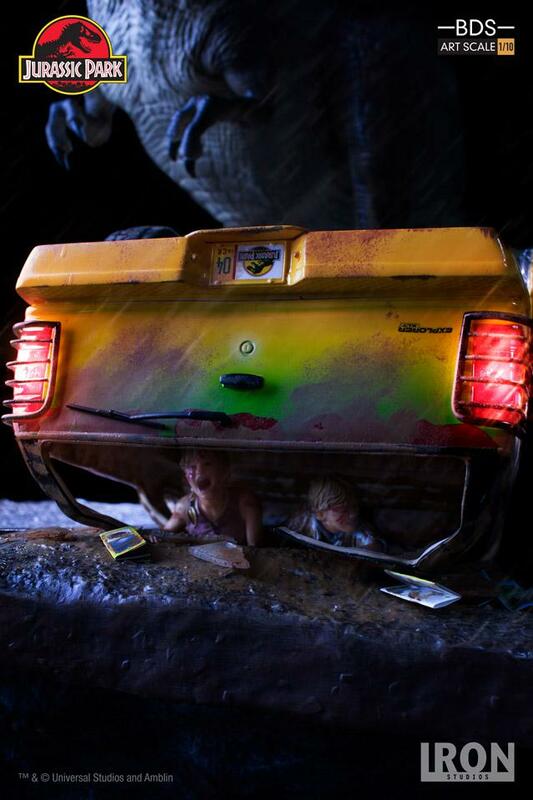 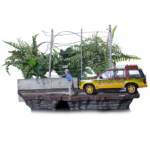 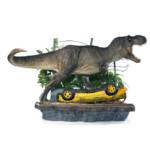 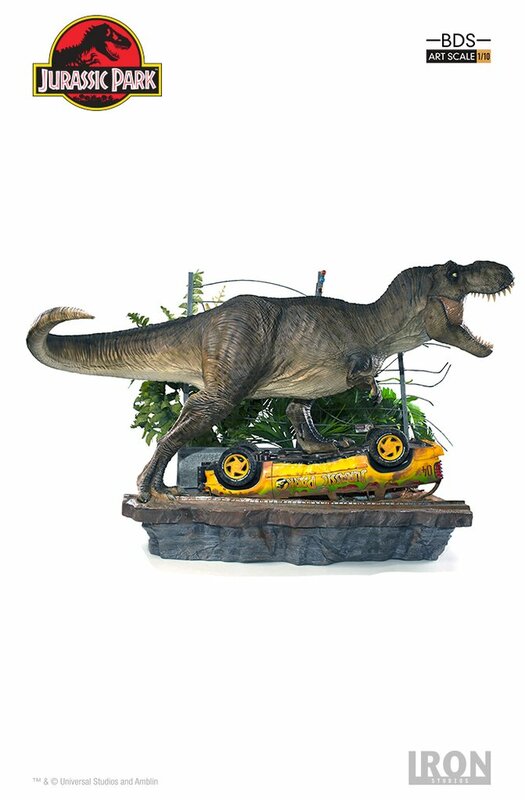 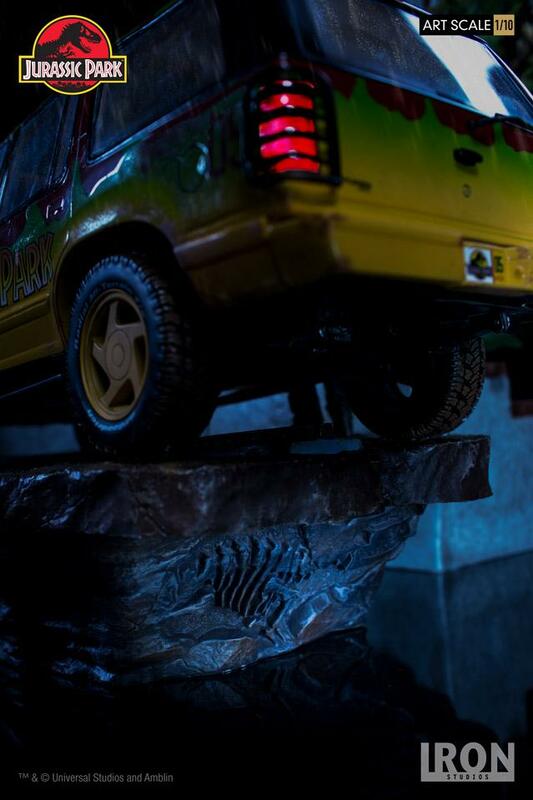 The Tyrannosaurus Rex Attack Set A features the T-Rex standing atop a flipped over Jungle Explorer (complete with kids inside), complete with environment pieces. 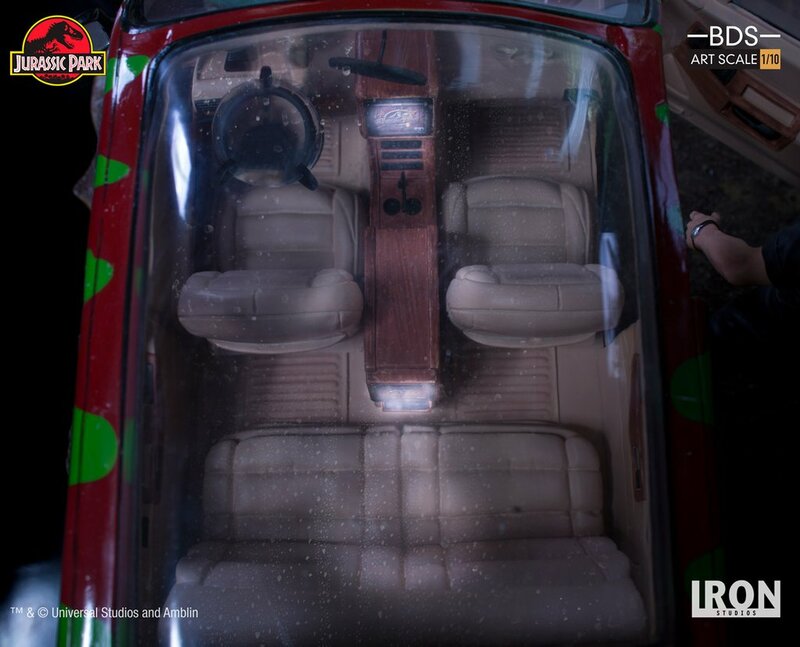 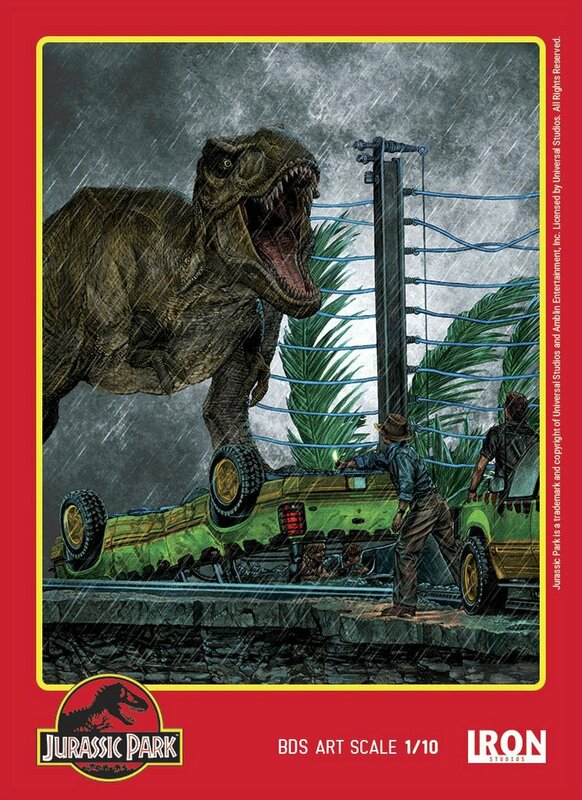 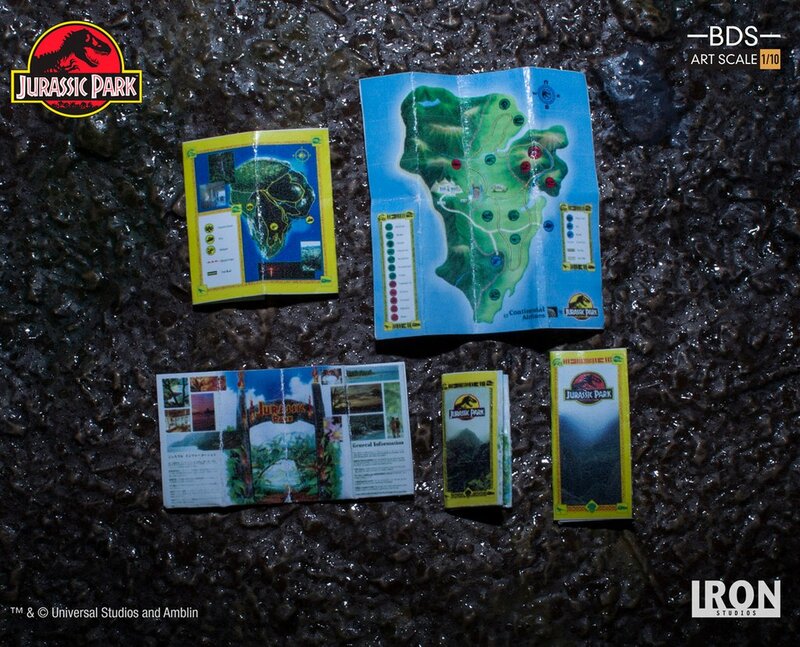 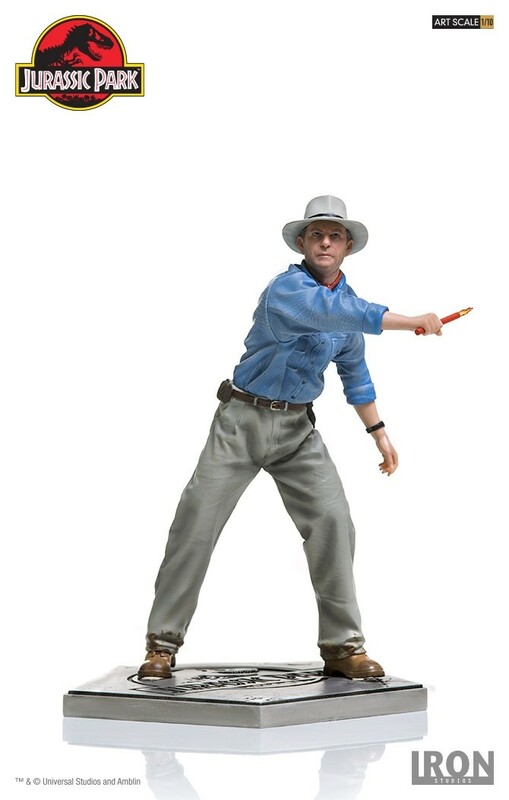 The Tyrannosaurus Rex Attack Set B features Dr. Grant and Dr. Malcolm, a Jungle Explorer, and the second half of the environment. 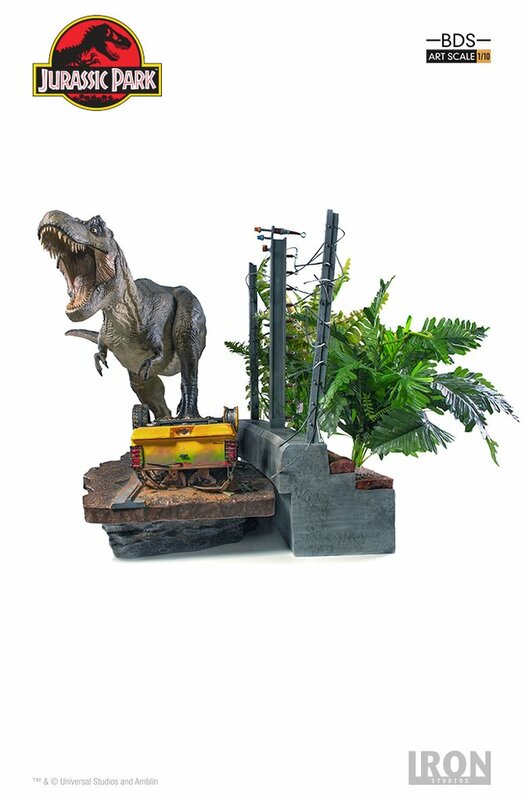 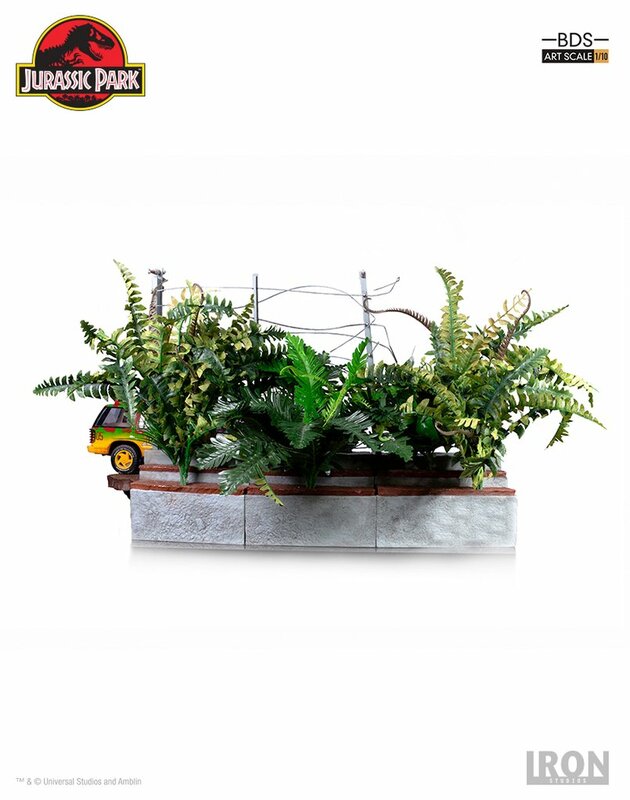 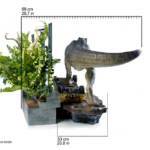 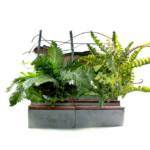 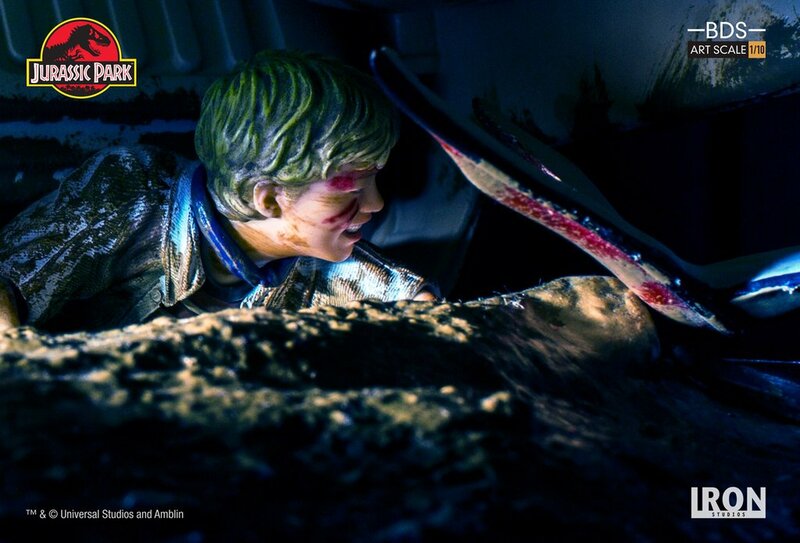 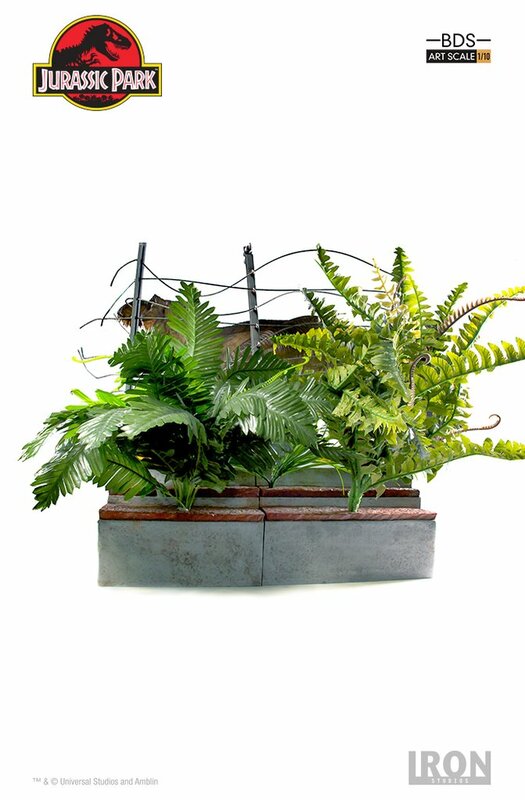 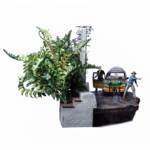 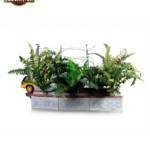 Each Set is priced at $1299.99, with a bundle including the whole diorama available for $2499.99. 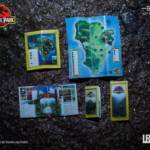 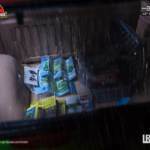 They are planned for release between May 2019 to August 2019. 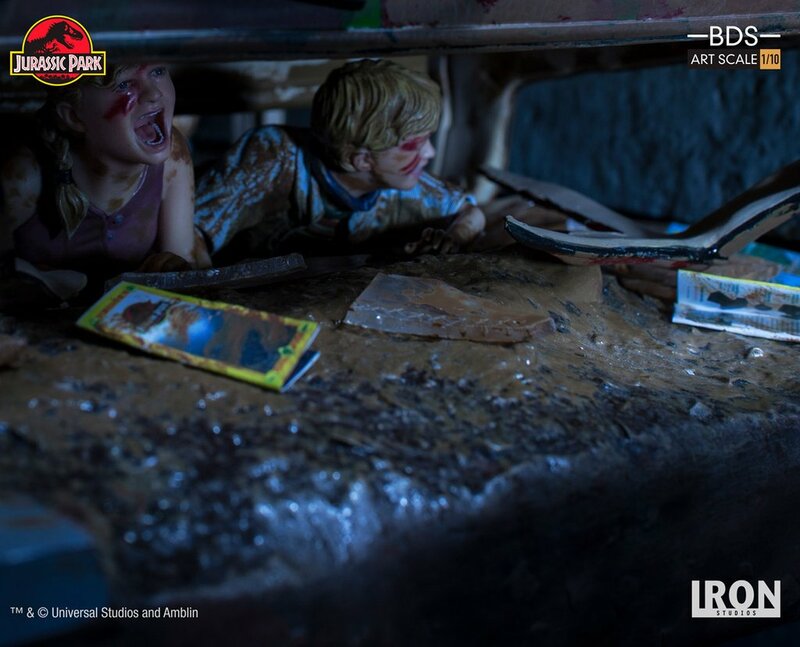 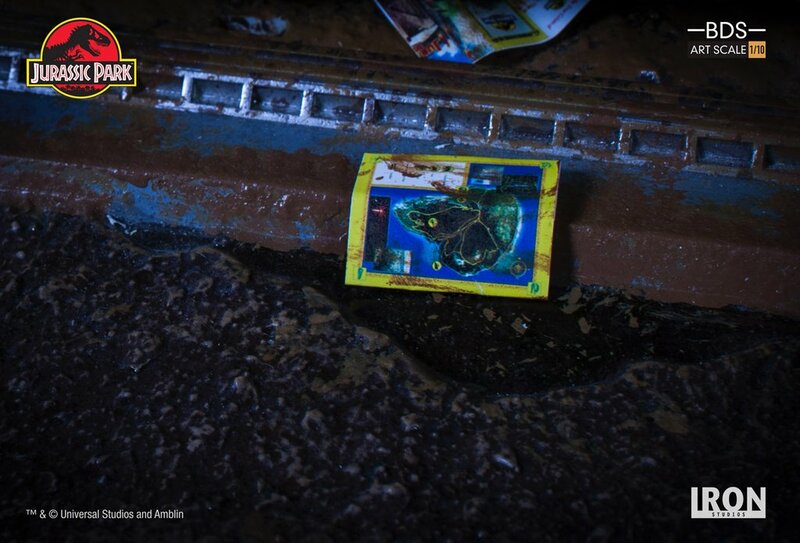 We’ll update with word from Chronicle Collectibles about the official U.S. release for the sets when they reveal their plans. 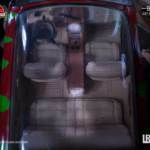 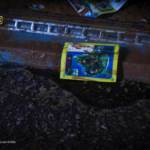 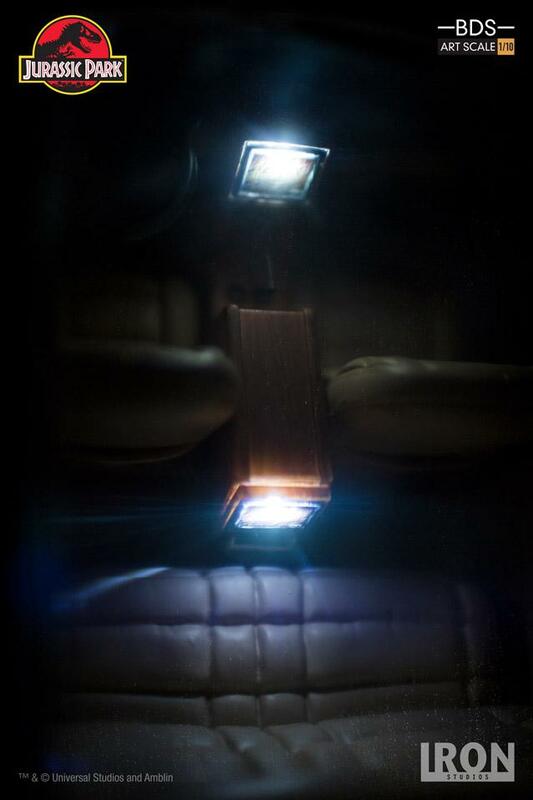 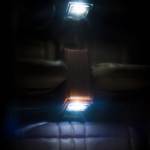 Check out photos, details and links to the product pages after the jump.